Most of us have furniture in our homes that we LOVE, an we also have some pieces we are only “fine with” – they are not bad, they are practical, but we don’t get excited over them. 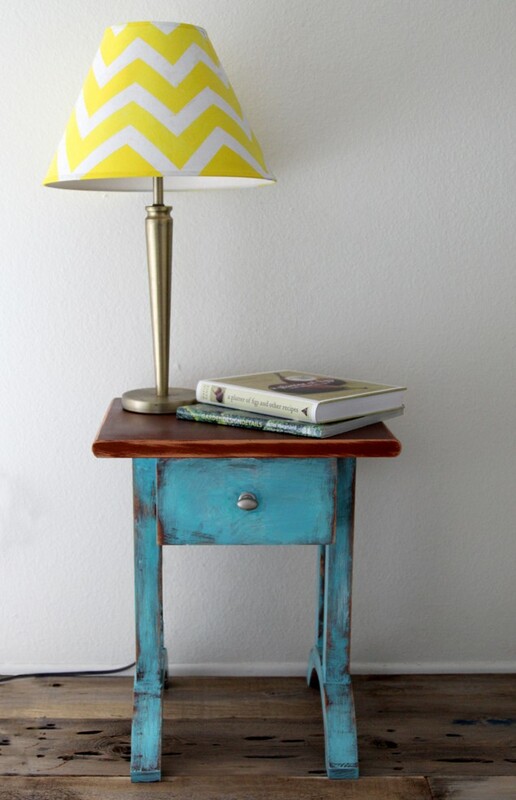 Such is the case with this little side table and lamp. So what should we do? 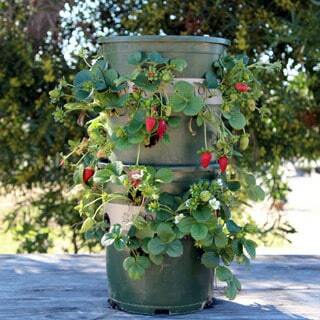 Take some risks and give them a makeover! Starting with the table, first give it a good sanding with 80 grit sand paper to rough up the surface, but let some of the paint color remain. I like this shade of brown and thought it would look nice having some showing through later. 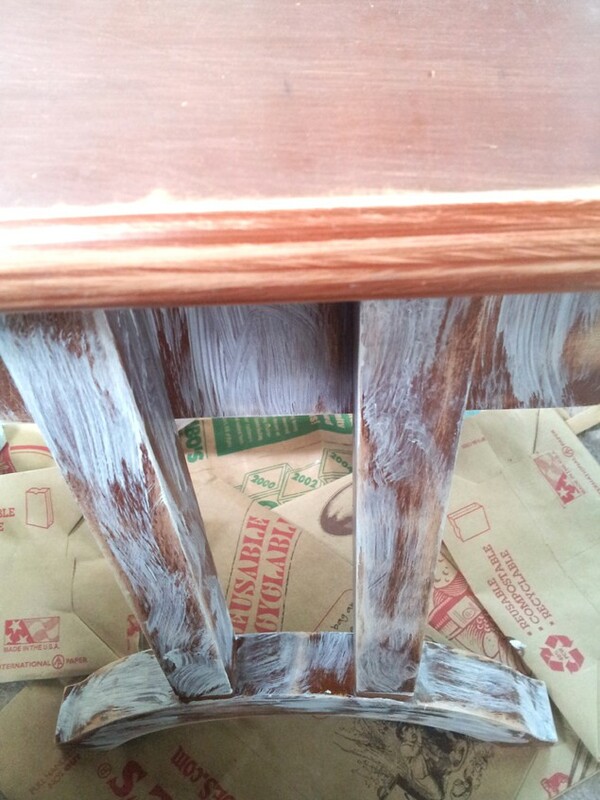 Then paint the table legs (I decided to leave the table top this brown color) with a base coat of white acrylic gesso. Let some of the wood and brown paints show through. Other paints can work here to, I love acrylic gesso as a primer, because it’s a lot like chalk paint, matte, and stays on wood surface really well. 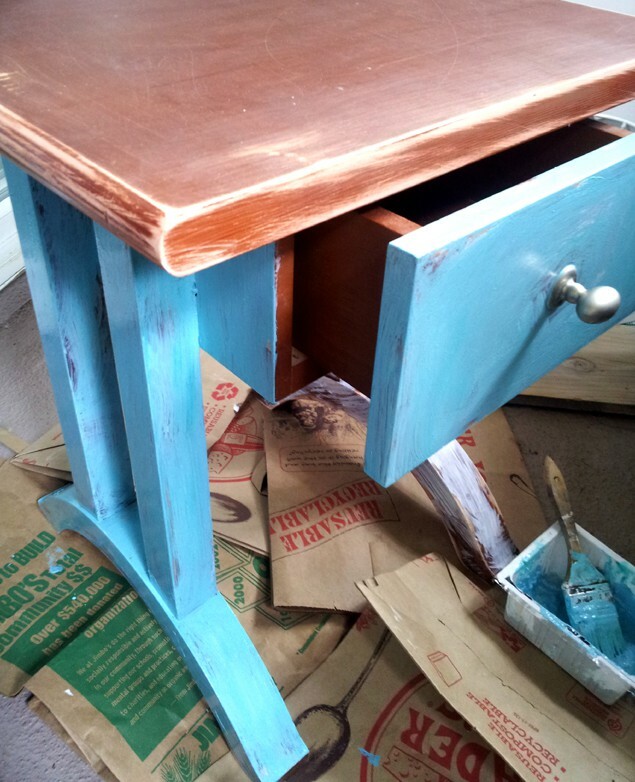 After the first coat dries, add a coat of aqua blue. 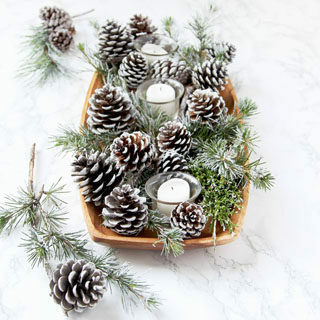 Let dry, then sand with 180 grit sand paper to expose some of the white and brown paint as well as the wood underneath for a charming distressed look. 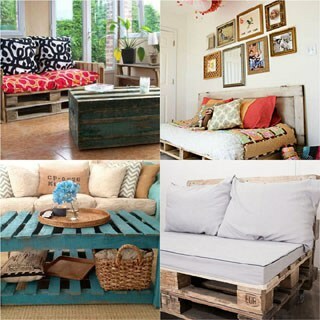 Remember the furniture wax recipe I shared in the Pallet Wood Crates post? After cleaning the surface, apply this delicious wax over the entire piece. I just love this furniture wax, it’s also a great hand lotion and smells like honey, so don’t wear gloves for this step! 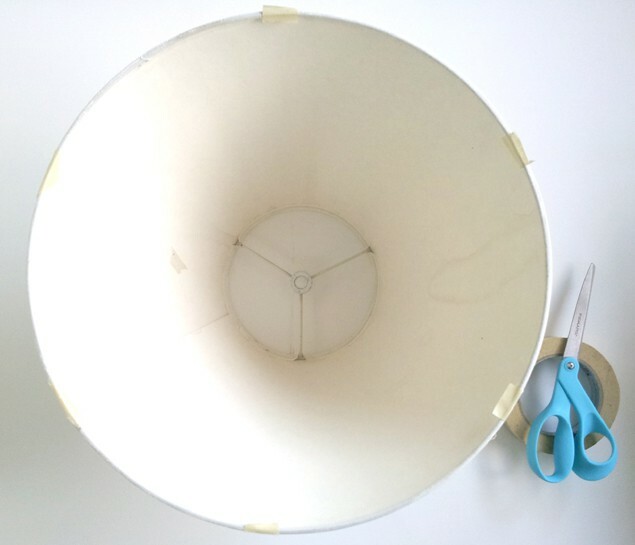 Now let’s move on to part 2 – the lamp shade! 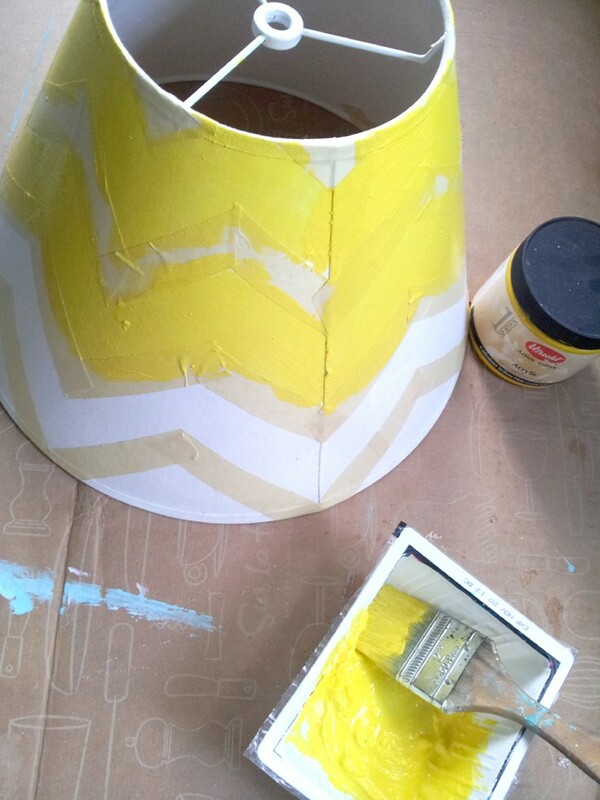 I love chevron patterns, and the color yellow with blue, so yellow chevron became the obvious choice! 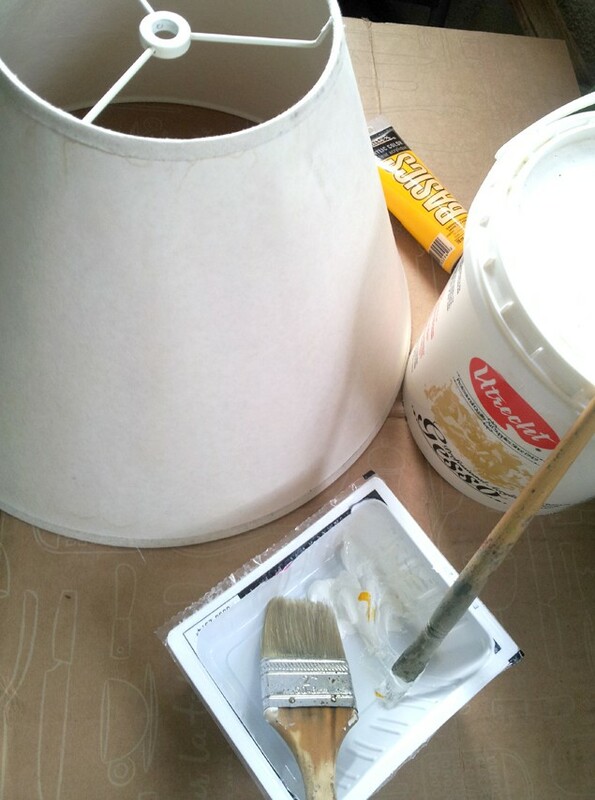 First paint the shade with a base coat of warm white by mixing white with a tiny bit of yellow. 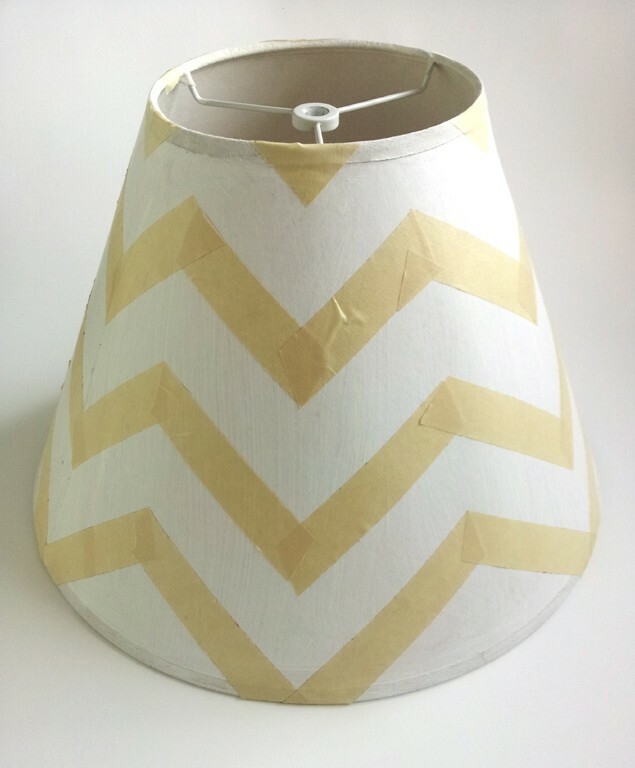 After this coat completely dries, use masking tape, and mark some evenly spaced points on the bottom circular edge of the lamp shade. This is a very important step to ensure the geometry of our pattern. Create the first row of the pattern, then go up one row at a time until the shade is completed. 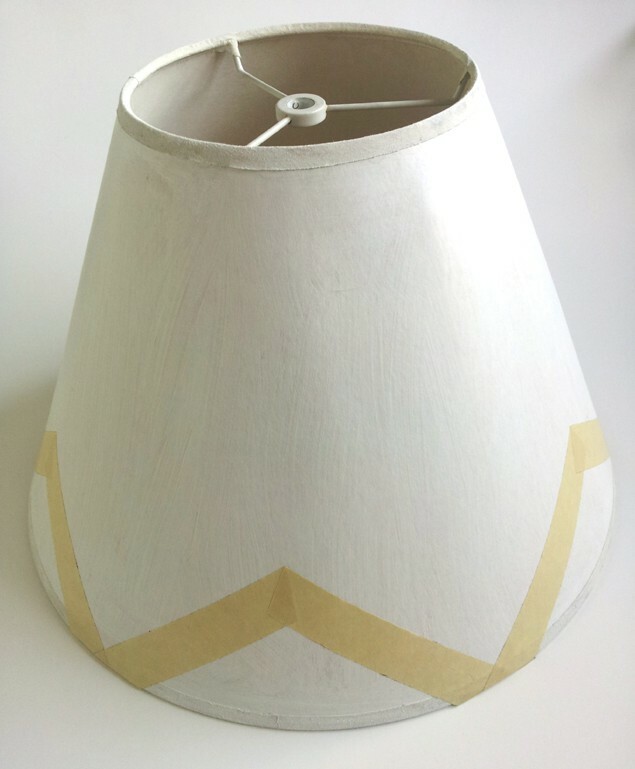 Then paint the pattern onto the shade. 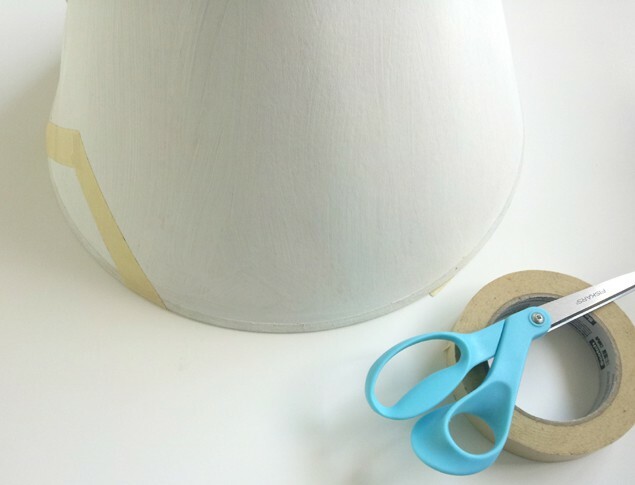 When the paint dries, carefully peel off the tape. 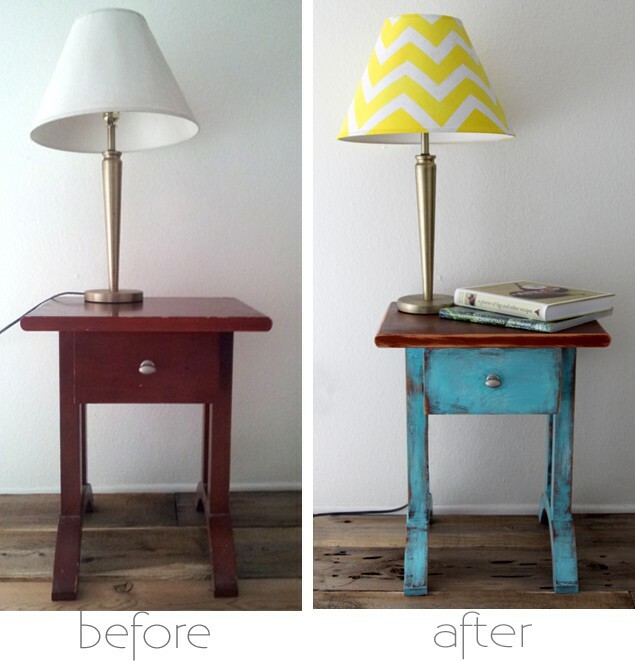 Now we have a totally different looking lamp! 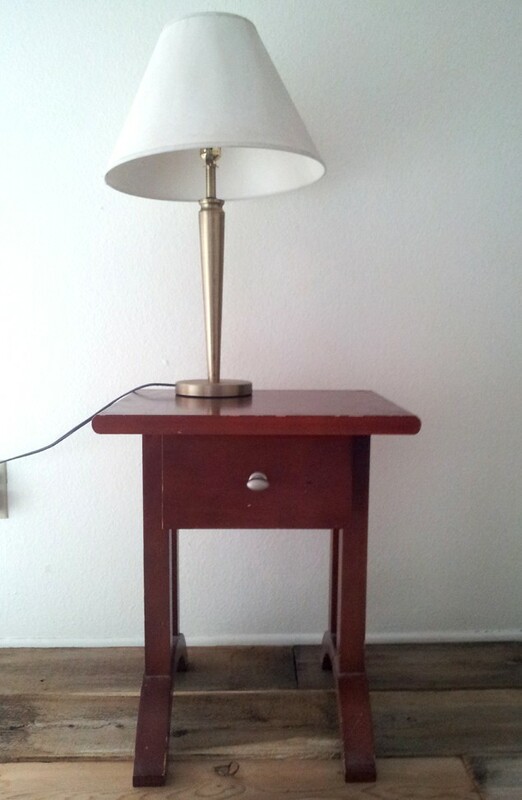 We love our “new” table and lamp. 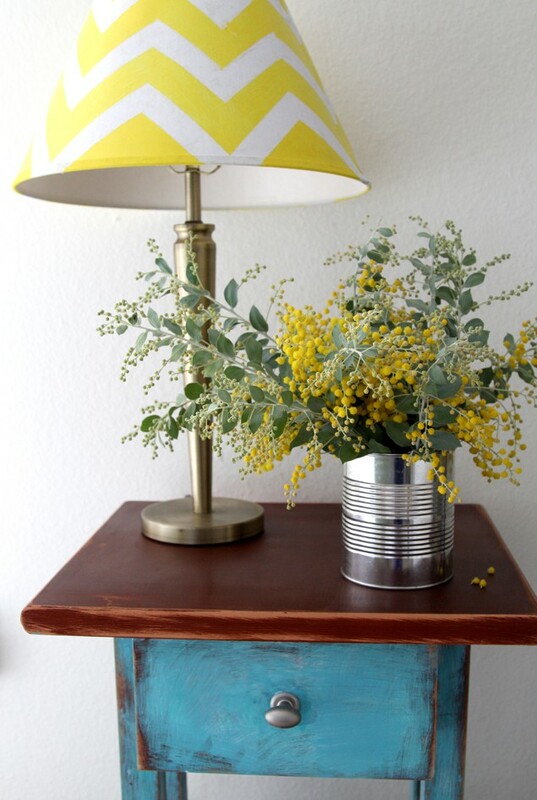 A splash of color and some patterns make such a difference, right? Happy creating and see you in 10 days! Wau!!! I love it!! Great colors also!!! Happy colors!! Yes it’s all about taking risks, something that I’m working on. Your pieces look great, you make it look so effortless. Nice! New look to something old. 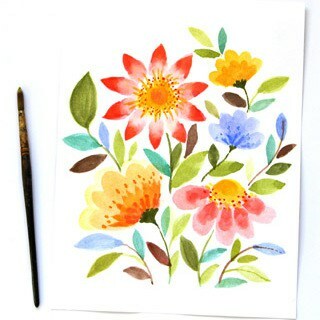 Brings color to the room! 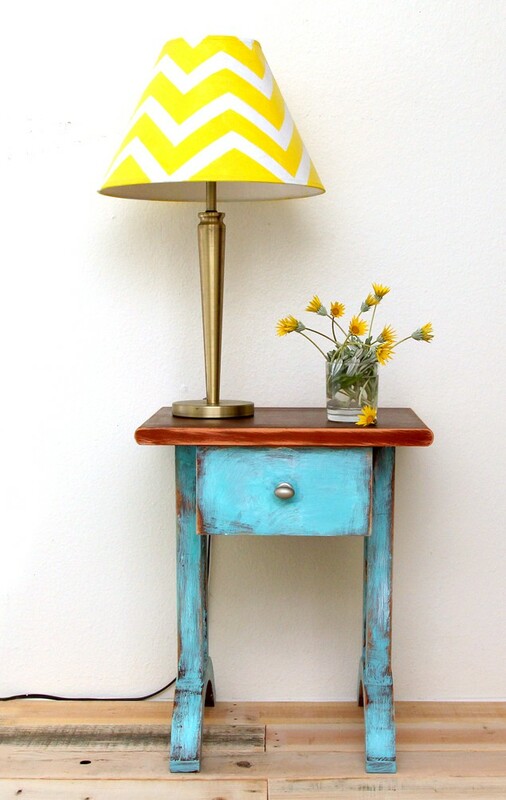 From ordinary to extraordinary – isn’t it amazing what a little paint can do? Hi Ananada. 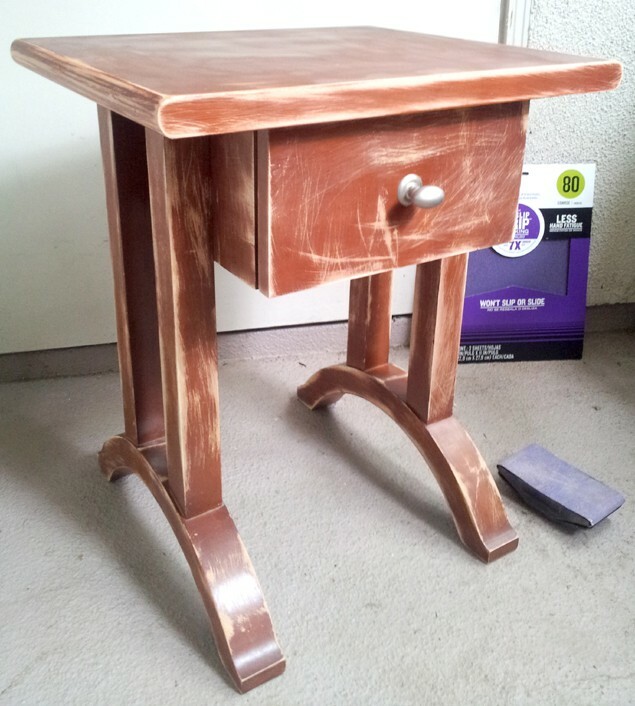 I’m back for more:) I like the table so much that I want to go hunting for an old one just so that I can replicate what you’ve done. Fab! What a transformation! Love both pieces. Now I need to just go for it! Creative! Thanks for sharing this awesome makeover. Ok, hate to bother you with this question, but, can you give me an idea as to how you got your spacing so perfect on the chevron? I mean, I know you love geometrics, but OMG!!! Very inspiring stuff! 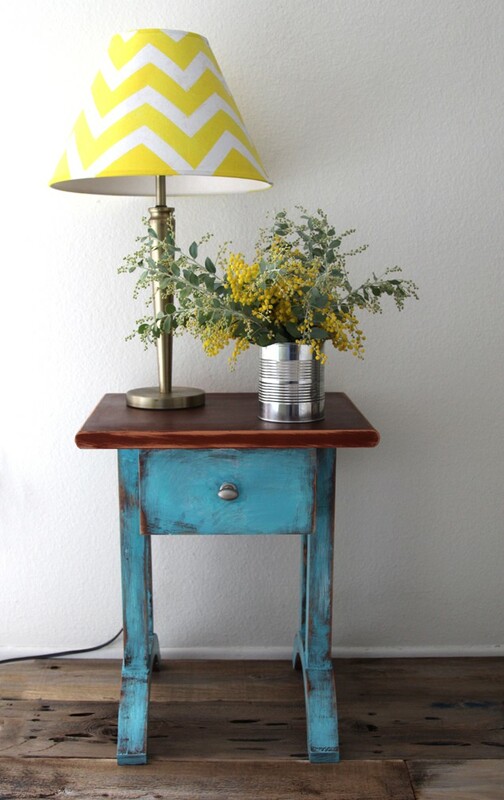 Love the table and the lamp looks great too. When you say Aqua Blue was the paint, what sort of paint was it? thanks james! i mixed acrylic paints- sky blue, turquoise, and a little white together to get a blue i liked. you can also get some paint chips from the store as a guide to choose and mix colors. 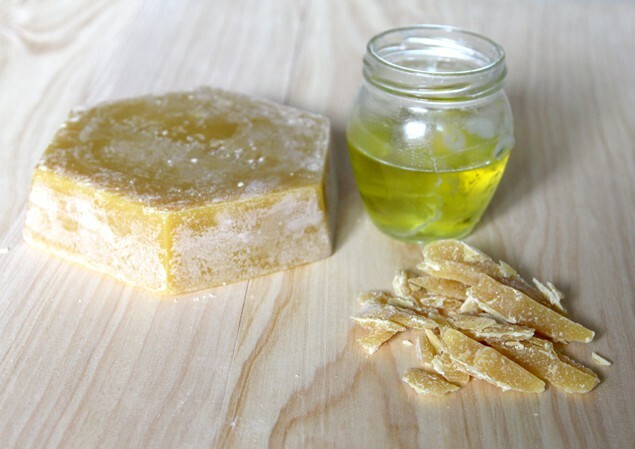 I cant find your recipe for homemade wax? Please show me how to find it. I pinned this and then it sends me to your blog and them it’s really hard to navigate.